“…The person who was shot was not a parkrunner, nor were they in the park when the incident happened. Henry did the best they could keep thing as normal as possible for the other runners and not cause alarm. It so happens that The Spouse and I went to town this morning with the intention of parking in the now unused car parks close by the now defunct Pyramid (“Tallest pyramid in the southern hemisphere”!) (yeah, right) but were stopped by a man in the middle of the road holding what appeared to be an M16. Nice man pointed us off into a different direction, and never one to argue with the man with the gun I turned and went. A block or two over I tried again, and this time a whole police car (wow, sparkly lighting!) was broadside on across the road with more pointings and flappings so off again we toddled. Ended up in the heart of town close to one of our favourite coffee places, but of course nobody knew nothing and we had to wait until we got home much later (Southlanders are very laid back) to find out what had happened to take the gloss off of my photographic ramble through the park. Scuttlebutt had it that someone got shot, and I guess the above news article sort of confirms it. In the meantime: how about that reporting as an exemplar of modun Inglish gramma, hey? 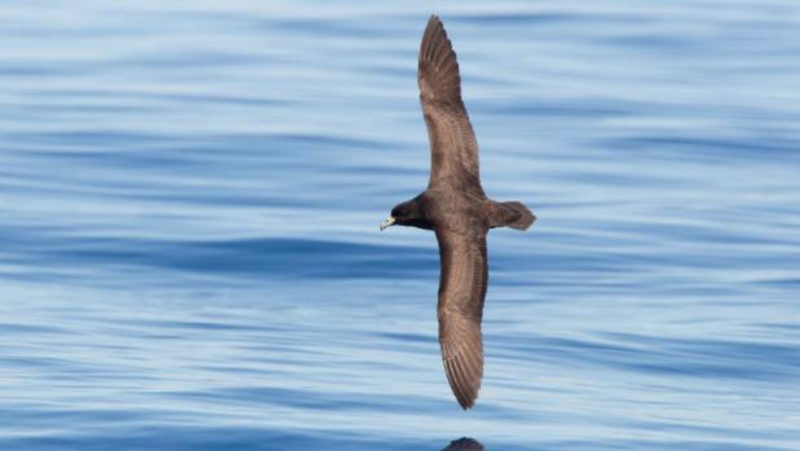 Q: Why did the seabirds fall and crash? And why would I exclude Yanks? Nothing personal. I have the greatest (and ever increasing, dammit) respect for Yanks—but it pays to be practical, sometimes. Here, now have thee a nice chicken to admire (aaaawww, c’mon Argus! Why the hell should anyone admire a skinny black duck?) (So read on, and be enlightened …). A: ‘Cos they ran out of petrol~! One refers of course to those two great identical polar opposites: one Prof Stephen Hawking and one Sir Terry Pratchett. Of the two I personally prefer ol’ Terry—he made me laugh. In fact his legacy is laughter**, and where would a religious denier be more likely to find God: in the infinite reaches of space, or between the leaves of a Terry Pratchett novel? Dammit, not only does Terry make me laugh—the worlds he created are vastly more credible than those between the sheets of any religious exemplar’s bed. Book! I meant book! Perhaps Hawking and Sir Terence met up recently somewhere in the vast reaches of time and space; it would be an interesting environment in which to be a silent speck on the wall … just specktating; I could contribute nothing but I’m sure they’d be delighted by each other’s company. * Death, Doom, Defeat, Despair and/or Disaster (yeah … I can’t count neither). ** Leavened with great wisdoms but so subtly done it hurts to read (go on, force yourself, try it … you may just like it). But there’s something about the image I find disturbing and I can’t fathom why. Disclaimer: in no way do I offer ‘ancient alien astronauts’ as an answer to any questions I raise. everyone who has even momentarily thunk about the GP complex has a thought on how the pyramids were constructed. I was taught at school by experts that under the guidance of priests (with whips) they were built by many oodles of slaves towing huge lumps of stone on loggy rollers. —and there we have it. So uncomplicated—why didn’t we think of it before? I mean, just look at it … easy peasy, huh? yeah, right, I get it. Ramps! Hey, why not … worked for the Romans at Masada, no? So that’s the problems solved—just shove a ramp up—but don’t forget that some of those stones weigh seventy tons or more. Oops … extra slaves, please, and put the whippers on overtime. —I think the pyramid was more its function than its bits. To my uneducated eye that lot looks like nothing more than ‘infill rubble’ (although impressive). the uneducated were utilised to toss those rubbley bits into place to form a core (complete with chambers and shafts and stuff) while the educated performed the final placings and alignments with superbly dressed casing stones, in and out. is arguing ‘religion’ with the saved. They are dead, and as it says in the Bible: “Let the dead bury their dead…” Brilliant! I posted this comment (below) on a fellow blogger’s blog recently, and the seeds falling on un-stoney ground thought I’d share my brilliance with all my reader*. that will serve them forever. Read on, for tool. That tool is simply the Law of Contradiction. Think about it … a loving God and a plague? An all-powerful compassionate God and Satan? A merciful God and napalm? The love of the Omnipotent and the Holy Inquisition? You can have a field day with the one … get the young thinking. Give them the tools to think with~! —but in as much as masturbation doesn’t produce offspring, I guess folks will stick with the shadow rather than the substance. Yes, it is more fun and I guess you can’t contract el gravo diseaso that way … but if you want fruit you have to plant, no? GET THOSE YOUNG ONES THINKING, DAMMIT~! (c) … then get out of their way.